On Sept. 28, the Syracuse University Law Alumni Association and the College of Law will celebrate the singular achievements of six esteemed members of its community with the prestigious Syracuse Law Honors Awards. Established in 2015, the award is conferred on alumni and friends of the college for extraordinary career accomplishments and service to the college, Syracuse University, the legal profession and society as a whole. This year’s recipients have excelled in the areas of jurisprudence, advocacy training, service to the college, social justice and public service. They are: 47th VP Joseph R. Biden Jr. L’68, for his long service to the nation, first as a U.S. senator and then as vice president of the United States; Alexandra C. Epsilanty L’92, for her service to the college and University; the Hon. James E. Graves Jr. L’80, the first African American jurist from Mississippi to serve on the U.S. Court of Appeals for the Fifth Circuit; the Hon. William Q. Hayes L’83, a long-serving U.S. attorney and current district judge for the Southern District of California; Dr. Natasha James-Waldon L’94, for her tireless work promoting social justice and advancing anti-poverty programs; and Professor Emeritus Travis H.D. Lewin, for his leadership and unparalleled support of the college’s advocacy programs. As part of the College of Law’s annual Law Reunion Weekend, Sept. 27-30, Dean Craig M. Boise, the SULAA Board of Directors, alumni and other guests will celebrate the honorees and their many achievements at a ceremony, starting at 6 p.m., in Dineen Hall’s Melanie Gray Ceremonial Courtroom. Joseph R. Biden Jr. L’68 was 47th vice president of the United States (2009-17) serving with President Barack Obama. As a U.S. senator from Delaware (1973-2009), Biden focused on foreign relations, criminal justice and drug policy. He served on the Senate’s Foreign Relations Committee, twice as its chair (2001-03 and 2007-09), and on the Committee on the Judiciary, serving as its chair from 1987 to 1995. Biden also was a member of the International Narcotics Control Caucus and was the lead senator in writing the law to establish the Office of National Drug Control Policy (a.k.a. the “Drug Czar”). Twice pursuing the Democratic Party presidential nomination, Barack Obama chose Biden as his running mate in 2008 and again in 2012. Biden resigned from the Senate shortly before taking his oath of office in January 2009. An active second-in-command, Biden was an influential adviser to President Obama, playing key roles in budget matters and U.S. policy in Iraq. 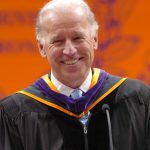 Raised in Scranton, Pennsylvania, and New Castle County, Delaware, Biden received a bachelor’s degree from the University of Delaware in 1965 and a law degree from Syracuse University in 1968. After graduating law school, Biden returned to Delaware to work as an attorney before turning to politics, first serving on the New Castle County Council from 1970-72. He was elected to the U.S. Senate in 1972 at the age of 29, becoming the fifth-youngest senator in history. About a month later, his wife and infant daughter were killed in a car accident, and his two sons were seriously injured. Although he contemplated suspending his political career, Biden joined the Senate in 1973 and went on to become Delaware’s longest-serving senator. In 2015, his eldest son—Joseph R. “Beau” Biden III L’94—died from brain cancer. The elder Biden recounted the tragic experience in “Promise Me, Dad: A Year of Hope, Hardship, and Purpose” (Flatiron Books, 2017). In 2015, the College of Law established the Beau Biden Memorial Scholarship Fund to create a lasting tribute to one of the college’s dearest friends. Alexandra C. Epsilanty L’92 is associate vice president for international advancement in the University’s Division of Advancement and External Affairs, where she creates and implements strategies for the engagement, cultivation, solicitation and stewardship of alumni, parents and other friends and donors, primarily outside of the United States. Before this appointment, starting in 1994, Epsilanty served her alma mater in a variety of positions, most recently as assistant dean of advancement. 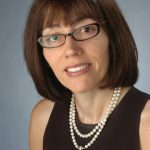 Most notably, she worked closely with college leadership and the college’s Board of Advisors to manage the successful Campaign for Dineen Hall, which raised $40 million and resulted in the building of one of the premier law school facilities in the country. In addition, she held several key leadership positions at the college, including assistant dean of career services, senior director of annual programs and director of alumni affairs. Epsilanty earned a B.S. degree at Boston University’s Questrom School of Business and began her professional career at Xerox, where she held various sales and sales management leadership positions and was recognized for her sales performance. After earning her juris doctor degree at the College of Law, she practiced law in Philadelphia before returning to Syracuse. Judge Graves was born in Clinton, Mississippi, and earned a B.A. in sociology at Millsaps College in Jackson, Mississippi. He worked in Mississippi’s Department of Public Welfare for two years before earning a law degree and a master’s degree in public administration at Syracuse University. He then worked as a staff attorney with Central Mississippi Legal Services and was in private practice before joining the Office of the Mississippi Attorney General as a special assistant attorney general in the Health Law Division, later serving as head of the Human Services Division. He then joined the Mississippi Department of Human Services, where he served as director of the Division of Child Support Enforcement. Graves then served as a circuit judge in Hinds County from 1991-2001 before being appointed to the Mississippi Supreme Court. He served this court as a presiding justice (2009-2011) before joining the Fifth Circuit. 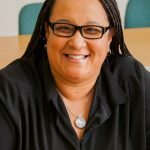 Graves has been an adjunct professor at Jackson State University, Millsaps College and Tougaloo College, and has been a teaching team member of Harvard Law School’s Trial Advocacy Workshop. As the first African American from Mississippi to serve on the Fifth Circuit, Graves was awarded the Mississippi Trailblazer of the Decade award. His other honors include the FBI Director’s Community Leadership Award, the Maxwell School Public Administration Award, Millsaps College’s Livesay Award and the Mississippi Association of Educators’ Humanized Education Award. The Hon. William Q. Hayes L’83 received a B.S. degree from Syracuse University in 1979 and remained at the University to earn an M.B.A at the Whitman School of Management and a J.D. at the College of Law. Judge Hayes began his law career as an associate at Scheid and Horlbeck in Denver and later practiced at Stone and Associates, also in Denver. He left Colorado to become an assistant U.S. attorney for the Southern District of California in 1987. He then became the chief of the Criminal Division and served in that role from 1999-2003. 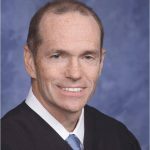 Hayes was appointed a district judge for the Southern District of California in 2003, with chambers in San Diego, and he continues to serve in that capacity today. 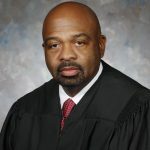 Judge Hayes has served as an adjunct law faculty member at National College, the University of Colorado at Denver, Thomas Jefferson School of Law and the University of San Diego School of Law. He has been a member of the Denver Bar Association, the San Diego Bar Association and the Rocky Mountain Business Law Association, and a barrister of the Louis Welsh Inn of Court. He is currently a master in the William Enright Inn of Court and a member of the Board of Governors of the Association of Business Trial Lawyers of San Diego. In addition to her juris doctor degree, Natasha James-Waldon L’94 received an M.P.S. in media administration from the Newhouse School. While in law school, James-Waldon was elected national chairperson of the National Black Law Students Association, representing more than 6,500 law students throughout the United States. After law school, James-Waldon received the Congressional Black Caucus Foundation’s Congressional Fellowship and worked on Capitol Hill for Congresswoman Eleanor Holmes Norton. In 1996, James-Waldon joined The Legal Aid Society, practicing in criminal defense, housing, and community and economic development. She received a National Association of Public Interest Lawyers—now Equal Justice Works—fellowship in 1998 to work on fair housing issues. In 1999, she became The Legal Aid Society’s manager of fundraising initiatives, sharing responsibility for raising more than $5 million annually. After the Sept. 11, 2001, terrorist attacks, James-Waldon began working for the New Jersey Judiciary, running local and state volunteer programs. Then, in 2006, she began practicing family and mental health law at Central Jersey Legal Services. In 2010, she went to work for The Jewish Renaissance Foundation (JRF), first as director of the Community Action Program, then as director of compliance and community engagement. In 2017, James-Waldon became JRF director of educational services. She currently oversees three educational programs that service more than 3,000 middle and high school students, as well as an alternative education program for adults. Also in 2017, James-Waldon received an Ed.D. in organizational leadership, learning and innovation from Wilmington University. Professor Emeritus Travis H.D. Lewin was in private practice and served as an assistant U.S. attorney before joining the College of Law faculty in 1967. Continuing his public service while a professor, he has been a consultant to the Michigan Department of Mental Hygiene and the Syracuse Police Department; a reporter to the Speedy Trial Act Planning Group for the U.S. Courts for the Northern District of New York; and he served on the Legislative Commission on the proposed New York Code of Evidence. He was a visiting professor at Loyola-Marymount University (1978-79) and visiting clinical professor of law at the New York School of Psychiatry (1980-81). Lewin is a pioneering educator and mentor at Syracuse University whose legacy continues with the success of the college’s clinic and advocacy programs. He was instrumental in establishing the Clinic Program in 1968, as well as the college’s first Moot Court teams. The Emil Gumpert Excellence in Trial Advocacy Award, given by the American College of Trial Lawyers to the College of Law in April 1990, was national recognition of this trailblazing work. A member of numerous college, University, Chancellor’s and University Senate committees and task forces—on topics ranging from curriculum reform and tenure to athletics policy and divestiture—Lewin served as interim dean of the college from 1987-88. 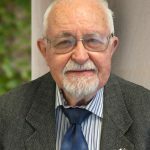 During a distinguished career, Lewin co-wrote two books—on property management and the elderly and psychiatric evaluations—and published many articles on mental health, criminal law and administering criminal justice. His awards include the first Richard S. Jacobson Award for Distinguished Trial Advocacy Teaching, by the Roscoe Pound American Trial Lawyers Association; a Lifetime Achievement Award for Excellence in Teaching Advocacy from Stetson University; and a Chancellor’s Citation for Academic Excellence from Syracuse University. Founded in 1895, the Syracuse University College of Law offers students a forward-leaning legal education designed to ensure that graduates have the knowledge, discipline, and analytical skills to succeed in the 21st-century legal profession and related fields. The college believes an outstanding legal education is as dynamic as the law itself, and Syracuse puts students at the center of an intellectual, professional, personal, and cultural experience that makes them better lawyers and better leaders throughout their lifetimes.